Ada pertanyaan untuk The CentrePoint Hotel? Ideal untuk bersenang-senang dan bersantai, The CentrePoint Hotel terletak di area Gadong Bandar Seri Begawan. Hotel ini tidak terlalu jauh dari pusat kota, hanya 7 km dari sini dan umumnya hanya membutuhkan waktu 10 menit untuk mencapai bandara. Untuk pilihan lokasi jalan-jalan dan obyek wisata lokal, Anda tidak perlu pergi jauh-jauh karena hotel ini terletak dekat dengan Pusat Perkembangan Anak, Mesjid Jame' Asr Hassanil Bolkiah, The Mall. The CentrePoint Hotel juga menawarkan berbagai fasilitas untuk memaksimalkan pengalaman menginap Anda di Bandar Seri Begawan. Sejumlah pilihan fasilitas kelas atas seperti tempat parkir mobil, layanan kamar, antar-jemput bandara, restoran, layanan binatu (laundry) dapat dinikmati di hotel ini. Masuki salah satu dari 216 kamar yang menggoda ini dan lepaskan rasa penat Anda dengan sejumlah fasilitas yang tersedia seperti ruang keluarga terpisah, televisi layar datar, kamar bebas asap rokok, AC, meja tulis. Disamping itu, hotel memiliki berbagai pilihan fasilitas rekreasi yang menjamin Anda melakukan bermacam hal selama menginap. 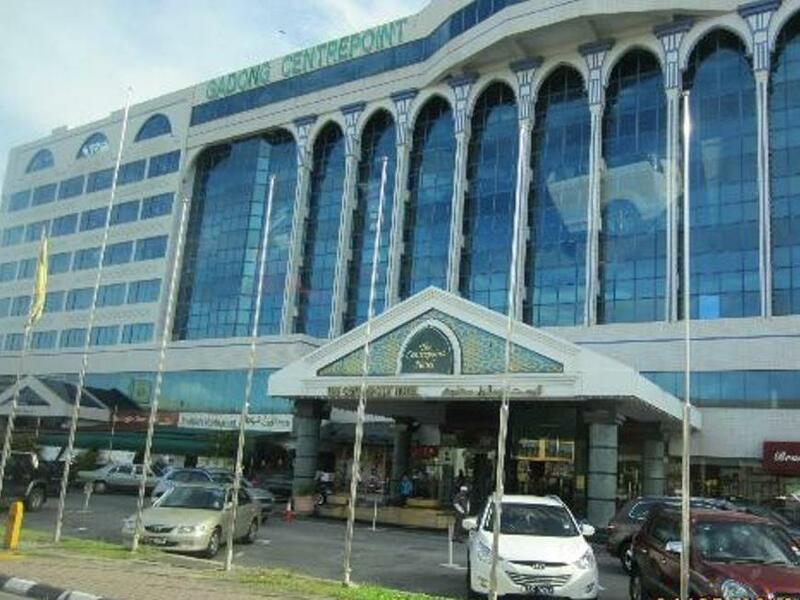 Apapun tujuan kunjungan Anda, The CentrePoint Hotel adalah pilihan istimewa untuk menginap di Bandar Seri Begawan. Saya kecewa kenapa saya mau pakai internet mesti harus bayar ini hotel bintang 4, sedangkan hotel yg murah saja internet free tidak bayar. Ini hotel kalau di Indonesia tidak ada orang yang menginap lagi. selama menginap di centrepoint hotel, kami sangat senang karena lokasinya yang tepat ditengah pusat keramaian kota. banyak mal disekitar hotel dan mudah mencari tempat untuk makan. saya sangat suka menginap di hotel ini. The only set back is the facilities in the gym. It would have been a perfect stay if there were better facilities in the gym. The staff that assisted us when we checked out was very kind. The restaurant was full during breakfast, but they made sure we didn't wait long to be seated. We love that the bed is not too high to make it easier for the elderly to climb on the bed. Top star for that! Other than that, we were unfortunate to get a tv that couldn't read our usb pendrive. So it was sad that we were limited to only a few channels available. Every staff are courteous and very very helpful. 1. Arrived at airport around 12midnight. w/o cash on my pocket. ATM was not dispensing cash. One call to the hotel, front desk was able to arrange airport pickup immediately and allow me to just charge to my room. Same scenario goes for my next 2 days. 2. I realized I Forgot my Wedding ring at the hotel few minutes after I was drop-off by the taxi in the airport. Again, just a call away to the hotel, immediately they double check the room and called the same taxi that bought me to airport, pick up my ring and deliver to the airport. THIS IS WHAT YOU CAN CALL EXCEPTIONAL SERVICE. Yes, it does not come for free. But again, money is secondary. Appreciation of good gesture, service and honesty is priceless. KUDOS TO ALL THE STAFF from Doorman to Management. THUMBS UP!!! There are many shops and eateries located near the hotel and hence very convenient if you need to run out to get a bite or get some stuff. Room is a nice size and it is clean. The shower unit is not working correctly as needs to be fixed. Understandable as this is a relatively old hotel. Breakfast is simple but satisfactory to me. The front desk upgraded us to a suite. The hotel is pretty old and dated, it needs renovation and refurbishment badly, the carpet , the furniture are very old. Location is very good, it is walking distance to the biggest Mall in Brunei, it is close to a lot of eating places, shops, cafes and supermarkets. It is 10 minutes away from the International airport. Breakfast is okay, you can have Western breakfast, Chinese breakfast and Malay breakfast. The quality is average. The location was nice because this hotel was at the shopping area. Just beside this hotel theres any shopping mall. The room was big, clean, and they provide standard amenities kit for us. The breakfast also good because they use RBA catering. 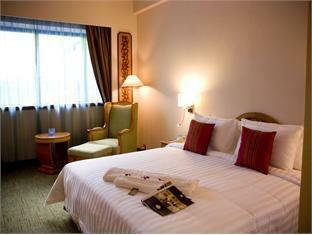 The location of the hotel is on city center which make your travel easily. The public transportation around the hotel is quite good. The hotel has a good services and the service mind of the reception is great. The hotel is clean and has a good breakfast. This is my first time in Brunei for a meeting. The hotel was recommended by the organiser and I guess I made the right choice choosing this hotel over the others. The hotel is located next to a mall and there are numerous eateries around it. My room was spacious and clean. the staff were helpful. Highly recommended and good value for money. And the breakfast spread is good as well. External and hotel well maintained. Rooms inside are mediocre but acceptable. Price is fair and breakfast is good. Bathroom water power on 6th floor is not strong, but usable. Toilet setting is a bit old but again, usable. Overall experience is 7/10. It was a pleasant experience. The aircon is full blast, cold rooms upon return to hotel. It is like they did not switched off the airconditioner at all. Hotel staff was quick to response to your needs, They try to accede to your request whoever possible. Reasonably good hotel breakfast in Swanson restaurant. 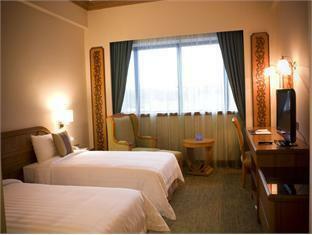 Hotel is located close to amenities and shops. There is a mall situated just next to the hotel where you can do shopping and watch movies. Restaurants available near to hotels.